As you have seen in previous postings the design and colour of food has been very interesting to me. 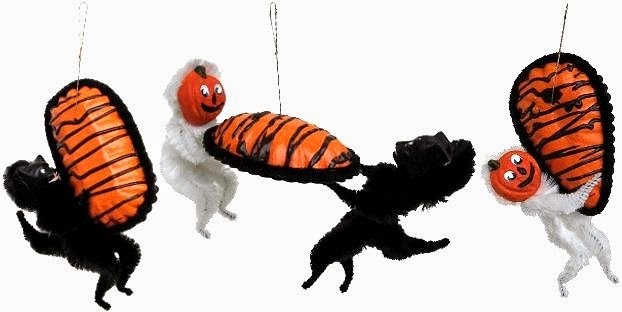 Here are three new Hallowe’en ornaments with food playing a very important role. Each of the little iced cakes is a candy box. The hang cord pulls the flap on the back shut.